Tallon Colour Therapy Adult Colouring Book. Colour with: watercolours, fibre pens, pencils or acrylics. 60 designs in a book, Each page’s size is 200 x 210mm. We do not accept any liability if your order is delayed by our carriers or due to adverse weather. ANTI STRESS COLOUR THERAPY COLOURING BOOK PLUS 20 PREMIUM COLOURING PENCILS 20 FELT TIP PENS. Colour yourself calm with the colour therapy anti-stress adult colouring book. YOU WILL ALSO RECEIVE 20 PREMIUM COLOURING PENCILS 20 FELT TIP PENS. Published 1980. 30 page booklet, black and white illustrations. Scuffing/wear to covers, reading wear to corners and edges of pages and covers. Occasionally it may take longer. 60 PAGE ANTI STRESS COLOUR THERAPY ANIMALS COLOURING BOOK PLUS 20 FELT TIP PENS. Colour yourself calm with the colour therapy anti-stress adult colouring book. NEW EDITION COLOUR THERAPY. YOU WILL ALSO RECEIVE 20 FELT TIP PENS. ISBN 9781857942897. Model Railway Locomotive Building on the Cheap by K. Chadwick. ADULT COLOURING BOOK.PATTERN BOOK.ANTI STRESS.UK STOCK.FREE DELIVERY. Readers can start to relax with this sophisticated anti-stress colouring, doodling and drawing book. Everyone will benefit from the stress-relieving effect that increased focus and creativity can provide. 4.5 out of 5 stars - ADULT COLOURING BOOK.PATTERN BOOK.ANTI STRESS.UK STOCK.FREE DELIVERY. 87 product ratings87 product ratings - ADULT COLOURING BOOK.PATTERN BOOK.ANTI STRESS.UK STOCK.FREE DELIVERY. The scanned images I use are of the actual item for sale. Frontiers of Biogeography: New Directions in the Geography of Nature by Mark V.
THE MAKING OF A CULT BY PETER HENSHAW. HARLEY DAVIDSON BOOKS. A strong Land and Sturdy. Country of Publication United Kingdom. Width 150 mm. Height 230 mm. Age Details. Reading Age 8-10. Interest Age 8-12 . Place of Publication London. Knots for Boaters by Brian Toss, Hearst Books, 1990. Ex-Library book so has stamps and in dust jacket but no marks on inside pages and in good condition. HANDIGUIDE SERIES, RARE BOOK. WOODWORKING WITH HAND TOOLS, BY ? ?., PAPERBACK 1st Ed 1959. Without any of the usual marketing hype,The Dukan Diet swept across France, championed by the people who had successfully lost weight following the diet. It is now estimated that the Dukan community numbers over 5 million people in France. The Technique Of Editing 16mm Films J. Burder Hardback Book. This is an ex-library book as can be seen from the pictures. The internal pages are in good condition, clean and note free. The dust jacket has some fading down the spine as can be seen in the photo. The book in the pictures is the actual book you will receive. Bookhas loads of infomation, easy to understand diagrams. Any questions just let me know, postage is 2nd class Royal Mail. By Zulal Ayture-Scheele. BEAUTIFUL ORIGAMI. The outside of the laminated cover shows moderate natural ageing and general handling wear, but the covers remain firmly attached and fully serviceable. It's easy to master the few simple techniques, all clearly explained in easy-to-follow instructions and displayed in closeup photos. By Caprice Birker. CUDDLY KNITTED ANIMALS. Full of fun, warmth and personality, all these animals are easy to make from just one basic shape. Choose from a selection of different ears, arms, legs and tails to create a range of charming characters, including a cute little pig, a cuddly lion, a big-eared elephant, an irresistible cat, an adorable sheep and a whimsical unicorn. Rōman Ishō Ten, the impact of romantic clothing. Clothing that Capture the Imagination of Japan. See above for item condition. By John Richardson. Considering your audience. Drawing styles. The binding remains tight and secure with no loose or detached pages. Mood and lighting effects. Adding colour. 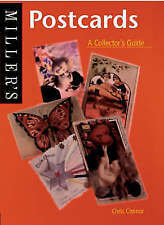 First edition published by Octopus Publishing Group Ltd, 2006. By Val Pierce. "Teddy bears are loved the world over, and here are forty of them - all small in size but big in character - for you to knit and crochet. LITTLE BEARS TO KNIT & CROCHET. The stiff fitted plastic overcover is in very good to excellent condition with no more than very slight handling wear around the edges. By Carole Vincer. DRAW YOUR GARDEN. Drawing in charcoal. Working from the centre. The structure of plants. What to draw with. What to draw on. Drawing with a pen. Knit your own Nessie, etc. Knit Your Own Scotland – Knitting Patterns For Scottish Icons. 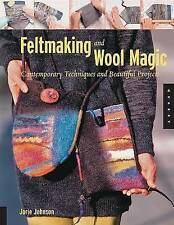 Amusing, exquisite creative book of knitting designs for a number of Scottish icons. Approx 20 x 20.5 cm. Knit your own Scotch Pie. FATHER TED THE CRAGGY ISLAND PARISH MAGAZINES, DERMOT MORGAN, FR JACK & DOUGAL. THE CRAGGY ISLAND PARISH MAGAZINES. FATHER TED. A GREAT BOOK RARE PUBLISHED ITEM. MANY MANY ILLUSTRATIONS AND PHOTOS THROUGHOUT BOOK. Illustrated by JENNETTA VISE and N MANWARING. by W BURMAN, M PLEYDELL-BOUVERIE and M I URQUHART. By Rosalind Cuthbert. PAINTING PORTRAITS. Unusual portraits. Composition and design. The binding remains tight and secure with no loose or detached pages. Painting skin tones. Painting hands. First edition published by David & Charles, 2002. Book intact, spine complete, pages clean. Learn to paint wildlife. Martin Kowelden. The book has been covered. Single lots - weight upto 100g = £1.10. single / multiple lots - weight upto 250g = £1.40. The Changing Dales. A Interesting Book Based Around the Yorkshire Dales. by W.R. Mitchell. Foreword by Alan Bennett. CLASSIC KITCHEN PROJECTS,BARRETT,WINE RACK,TRAY,STEP STOOL,PINE TABLE,ISLAND. BOOK SIZE IS APPROX 27.5cm x 21.5cm, 168 PAGES. THE FRONT COVER AND HALF-TITLE PAGE HAVE A COUPLE OF CREASES (SEE PHOTO 3). THE PAGES ARE IN GOOD CLEAN CONDITION AND THE BINDING IS TIGHT. ILLUSTRATED THROUGHOUT IN FULL COLOUR WITH LINE DRAWINGS AND CUTTING LISTS ETC. Book of the spirit of the sea. Condition is Like New. A book by marie-france boyer,Takes you on a voyage of fishing communities from north atlantic to english channel and north sea . Comes from pet/smoke free home. Dispatched with my hermes 2-3 days.Please look at my other items for sale. After an Introduction that explains the basics of garden design, the book features about 200 structural garden plans divided into thematic chapters. The Guide to Owning a Canary by Linda A. Lindner (Paperback, 1999). Condition is Good. Dispatched with Royal Mail 2nd Class Large Letter. 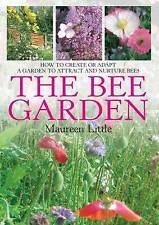 Breeding Better Bees By Dews and Milner paperback. 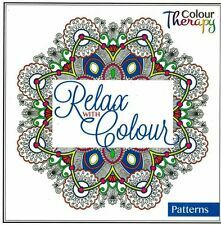 ANTI STRESS COLOUR THERAPY COLOURING BOOK PLUS 20 COLOURING PENCILS. Colour yourself calm with the colour therapy anti-stress adult colouring book. YOU WILL ALSO RECEIVE 20 COLOURING PENCILS. COLOUR THERAPY.